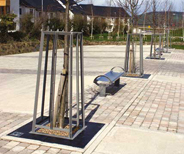 Hartecast offer a range of tree grilles and tree guards to promote tree growth and tree protection in the UK. Some grille types can be modified to incorporate holes for lighting units. Our Tree Grilles are manufactured from ductile iron which is stronger than cast iron. 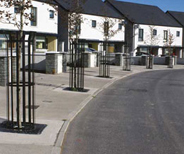 Our tree protection range comprises of 3 main components: Tree Grilles, Support Frames and Tree Guards which are all galvanised and powder coated. 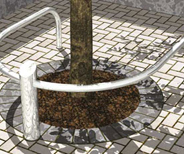 We also offer contemporary solutions such as Tree Rails to protect trees from with a simple barrier.